It was ten minutes to 10am when I turned onto Minnesota Avenue. At that point, I no longer needed to look at me GPS, because from a block away, I could already see big hosta gardens and a sign that said, Hostas For Sale. I knew that I had arrived at the Hostaholics! My first interaction was with Sue Janowski, and she was so friendly. She told me that she wasn’t going to be a part of the interview that morning. 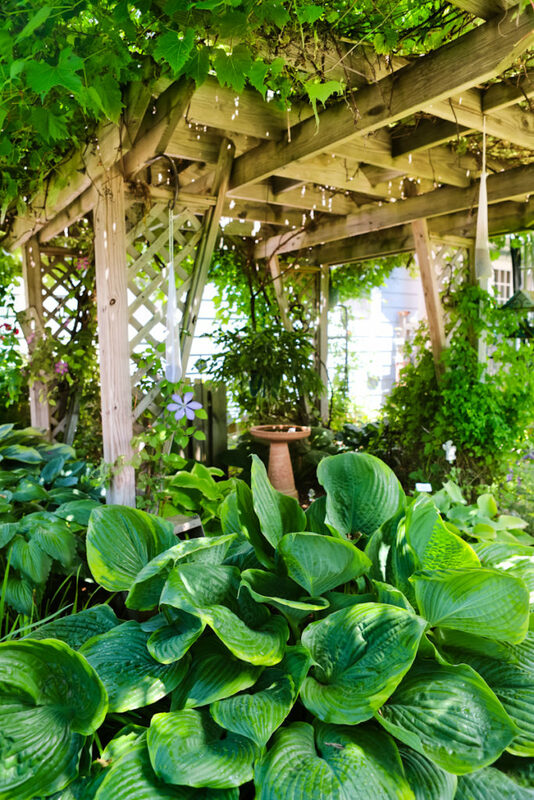 She said that it would just be her husband Ed, and Son, Dave, because the hostas are their thing. Even though, later on, I found out she has a helping hand throughout the gardens as well. That’s when her husband, Ed Janowski came out of the door and introduced himself. Shortly after, their son, Dave Janowski arrived and we were ready to begin our fun tour. Before the tour even started, I knew this was going to be a great informational tour, because I could tell already that these guys were extremely passionate about their hostas! Ed has been retired for nine years after working over 40 years in media and production at channel 4, in Milwaukee. Retirement for Ed, is sort of like a whole new beginning since he and his son, Dave, just started their Hosta business around 7 years ago. Dave was full time in construction, and then the bad economy hit in 2009. This steered him towards teaming up with his wife in their dog grooming business, which still thrives today. When I asked them how their obsession started, they quickly pointed the fingers at Sue and Dave’s wife. Ed said that Sue brought home a few hostas from a garden center one day, and he didn’t believe they were hostas. He thought the colors and textures were too unique and interesting to be hostas. That’s when the fascination began for him. At this time, Dave just moved into a new house with a bigger yard. 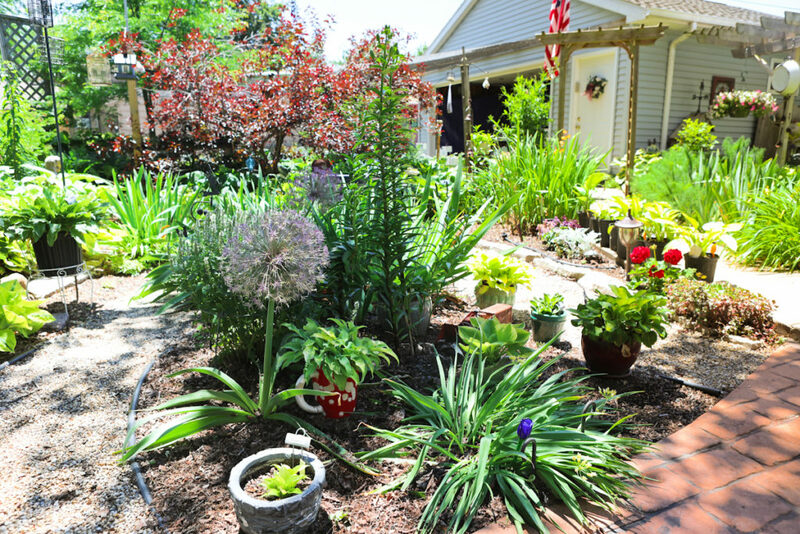 His wife bought a few hostas online, and told him to go find a place for them and plant them. It wasn’t long before, he too, grew to wonder more about these hostas. So the funny thing is, Ed and Dave’s Hosta fascination, started at the same time. It quickly became a competition. Hearing this father and son talk about this, was quite entertaining and made me laugh. 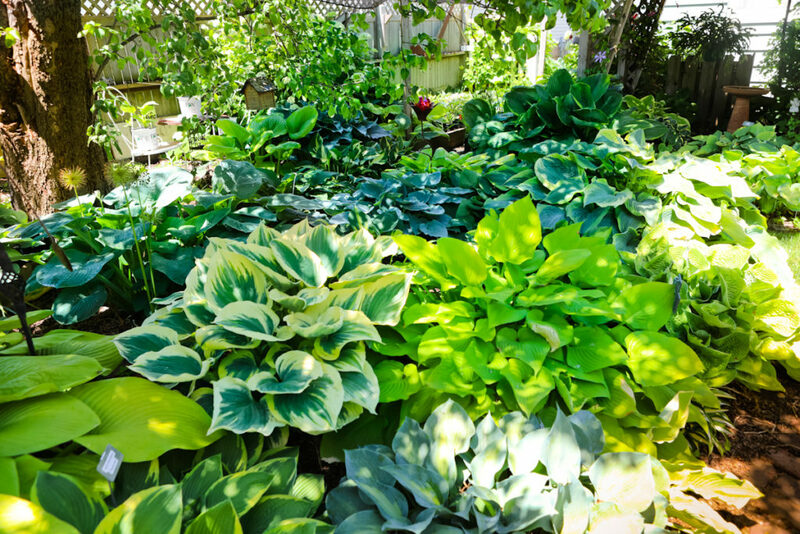 Dave thought, because he had a bigger yard, he could surpass his dad with the amount of hostas he’d grow. Then one day, his dad called him up and said, ‘I have 66 hostas’. At that time, Dave only had 65. So he immediately went out to buy one more. It wasn’t long before their passion for hostas collided, and this father son duo teamed up to create a business called, Janowski Homestead Hostas. 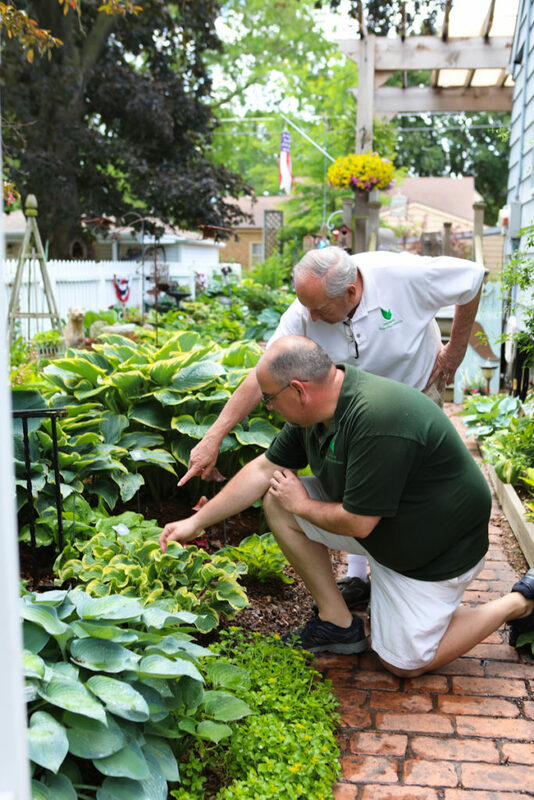 As Ed and Dave became more serious about their business, they met Ken Ziarek through the South Eastern Wisconsin Hosta Society. Ken is what Ed and Dave call, a hosta guru. Ken quickly became a mentor to them in the hosta business, because at this time, Ken just retired from the business of selling hostas. They all quickly became friends, and much of what Ed and Dave know today, they give thanks to Ken for that knowledge, passion and excitement. As we walked through the gardens, the passion was just spilling out of these guys. They love hostas, as much as I like gardening and decorating. In every conversation, I learned something new. They said educating others on everything they know about hostas is primary. Selling hostas and making money, is just secondary. 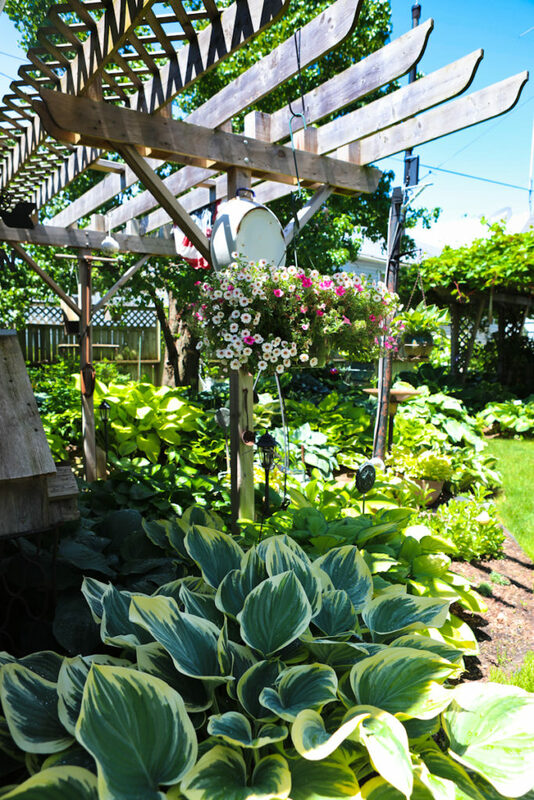 As they walked me over to their outdoor shop, I noticed they had a big shade cloth up over top of the hostas, and all of their hostas looked so healthy and beautiful. I asked them what their secret was. They told me its their soil. They have their own recipe, but it is locked away in the Janowski vault. They said that they get all their compost from, Blue Ribbon Organics, in Caledonia. They highly recommended them. They told me how Blue Ribbon Organics mixes their soil for them in batches. Ed and Dave bring some of their own ingredients, and they mix it all in for them. This eliminates a lot of time and tedious work that Ed had to do, when he mixed their soil mixture by hand. He seemed to be relieved to be rid of that task. At one point during the interview, we had to stop filming and run for cover due to a down pour of rain. This worked in my favor, because rain on leaves is perfect for taking pictures. After that the sun was shining and we continued on. I asked Ed and Dave what they would suggest for slugs, because when you grow hostas, that seems to be one of the biggest pests. They suggested a product called, Sluggo. If you’d like to hear more on their suggestion, be sure to watch the video above. As I toured the gardens on my own, while taking images, the yard looked different from every angle. There are images I’ve taken of their yard, that I’m sure Ed and Sue haven’t even seen before. 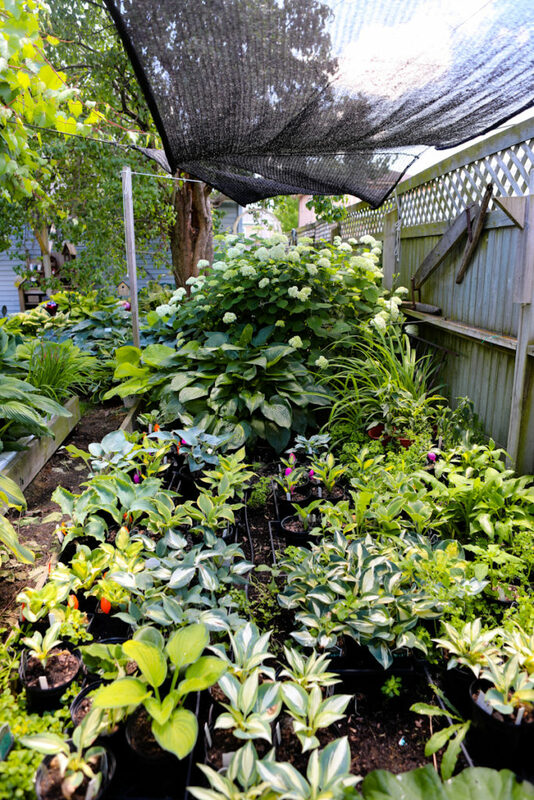 Every little space is not only dedicated to hostas, but other flowering annual varieties as well. When they plant a new hosta, it will say on the tag how far to space it, so it can reach it’s full potential size. A lot of times a hosta takes 3 years or more to hit the size described on a tag. So in the meantime, the area that the hosta is planted in tends to look bare. So they just fill in those bare spots with annuals until the hosta reaches its full size and fills in all the bare space. You won’t find a weed throughout the gardens, because sue is always there pulling them. She likes to help maintain and keep the gardens looking great. 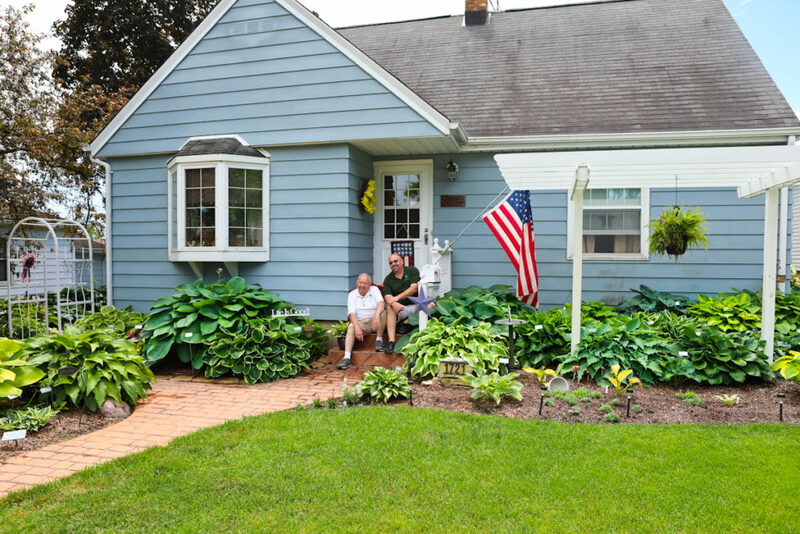 Ed and Dave take pride in the fact that, any hosta their customer wants to purchase, they can see it in Ed and Sue’s yard. 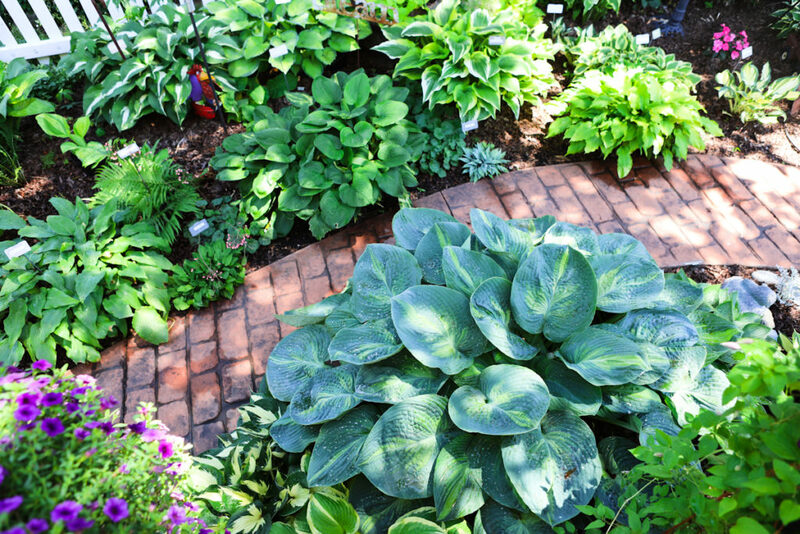 So if a client has a certain spot they want to put a hosta, they can see the full size of it in the gardens. 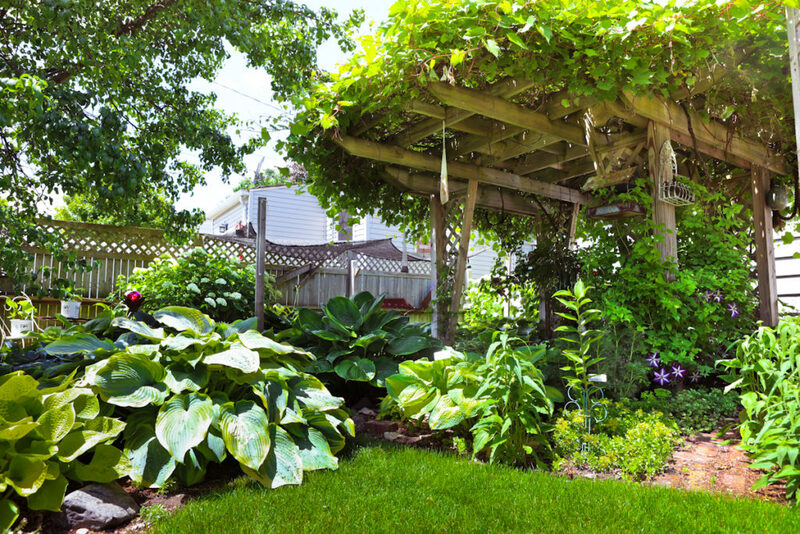 They can look through the gardens and decide what hosta and size would work best. When customers come, they will personally be walked through the gardens, and be educated on growing hostas by Ed or Dave. 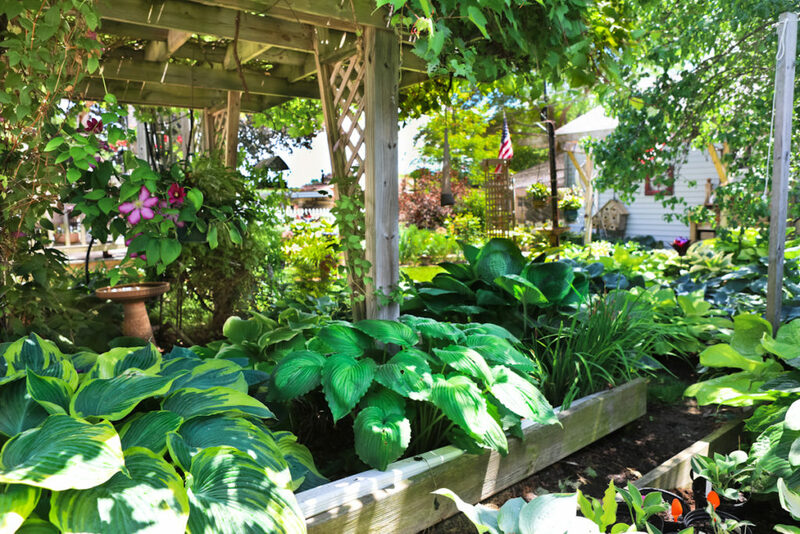 They like to have customers schedule an appointment, which is a very flexible schedule, and they also post sales and days that they are open on their Facebook page: Janowski Homestead Hostas. 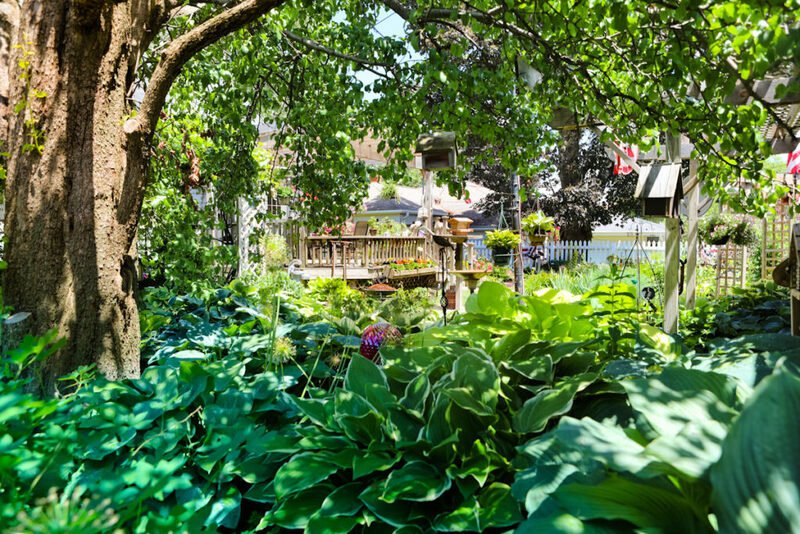 In Ed’s yard, he has around 360 different hosta varieties. He said, “I’m a bit of a collector”. 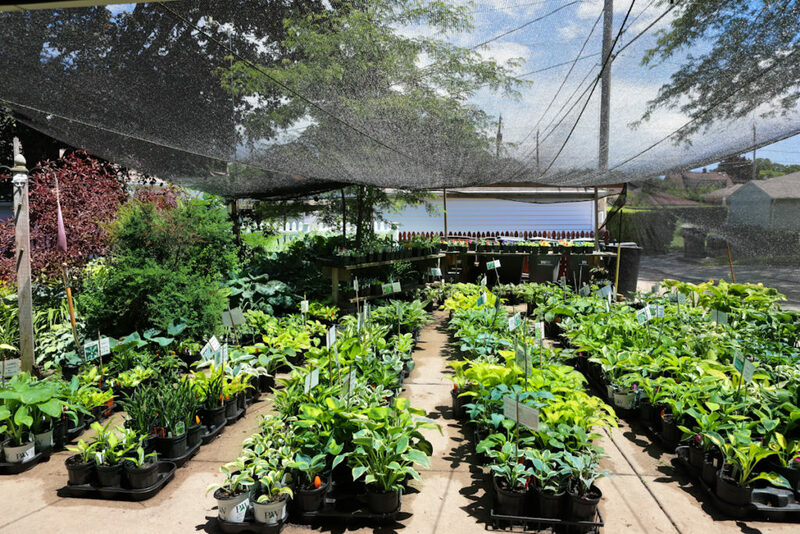 Ed and Dave offer 150-200 different varieties of hostas for sale throughout the growing season. That’s more than any garden center that I have ever come across. 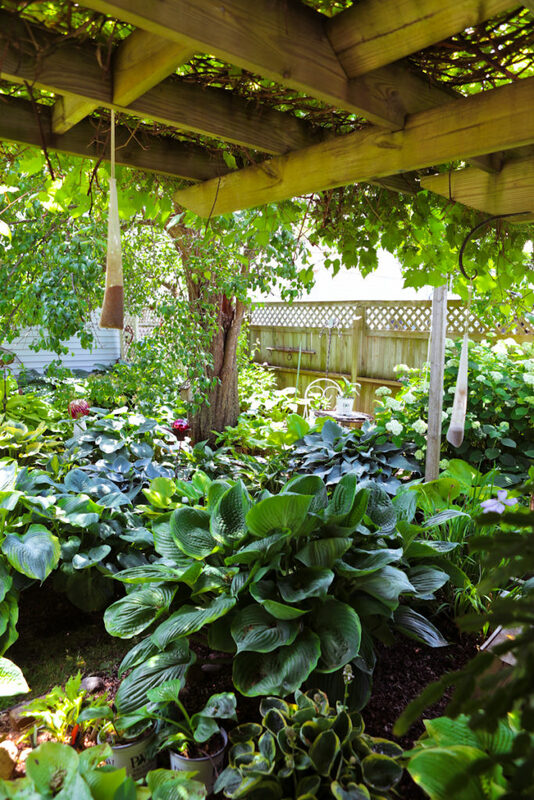 When I speak with other gardeners, I always hear them talking about digging and dividing their hostas. Ed and Dave shared, that if you continue to dig and divide your hostas every year, you will never see it hit it’s full potential. Dave said that if you have to divide your hostas, take a knife and make a cut while the plant is still in the ground. That way the whole root system isn’t disturbed. Ed threw in a tip as well. He said, after making a cut, wrap and tie up the leaves on the new cut for 7-10 days. This technique helps keep the leaves in an upright position while it is going through shock. When a hosta goes through shock of being replanted, the leaves get droopy. If you decide not to tie up the leaves, those leaves won’t be in an upright position through the season, but when they return the following season they will be upright again. If you want to see this described in more detail, check out the video above. Ed and Dave have plans to tear up more lawn, and expand the hosta garden in the front of the house. Eventually, there will be no lawn left. It wasn’t until after the interview, that Sue reappeared. I told her how wonderful and beautiful her gardens were. She said, “When it comes to gardening you are never done.” That comment right there, told me, she is very passionate about her yard as well. I could tell by the happy expression she had on her face when she said that. As I walked through the gardens, there were so many different sized pots planted up with hostas, succulents, herbs and vegetables. I knew immediately that-that had to be her hand. Even though Sue didn’t appear in the interview, her work sure did. 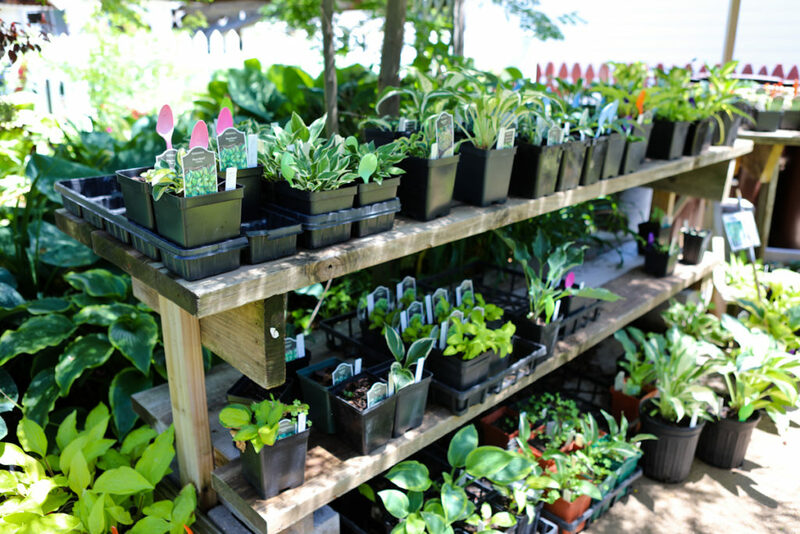 If you’d like to visit or shop at Janowski Homestead Hostas, be sure to contact Ed or visit their Facebook page by CLICKING HERE!